Comprehensive coverage of bribery and corruption law in Hong Kong. 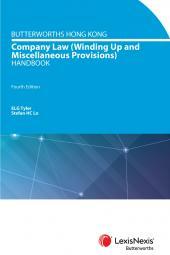 The third edition provides a continuing update of Bribery and Corruption Law in Hong Kong. Continuing developments in human rights law have continued to be felt in all areas, including the construction of offences which may contain reverse onus provisions, the constitutionality of compulsive powers of investigation and the direct and derivative use that may be made of information obtained from them, the time limit on the execution of search warrants and the right of executing law enforcement agencies to provide copies of materials seized under them to third parties and the ambit of legal advice privilege. The jurisprudence relating to the common law offence of misconduct in public office continues to grow as the offence is more frequently employed by prosecutors against abuses of their office by public officials not involving bribery. Recent case law which helps to define the parameters of the offence is discussed. In order to make the book a more practical tool for legal professionals, the Prevention of Bribery Ordinance (Cap 201) and the Independent Commission Against Corruption Ordinance (Cap 204) are included. Mr Ian McWalters SC was until 2009 the Deputy Director of Public Prosecutions. He became a Government Counsel in 1985. He was promoted to Senior Government Counsel in 1988, to Deputy Principal Government Counsel in 1994, and to Principal Government Counsel in 2006. Andrew Bruce, SC has been a barrister in private practice in Hong Kong since 2001. From 1982 to 2001 he was a prosecutor with the Hong Kong's Department of Justice. Prior to that from 1977 to 1982 he was in private practice in Adelaide in Australia as a Barrister and Solicitor. He was a member of the Bar Council of the Hong Kong Bar Association between 2002 and 2006, including as vice-chairman of the Council. Andrew is the author either in his own right or with others of Bruce & McCoy Criminal Evidence in Hong Kong (loose-leaf service) and Criminal Procedure: Trial on Indictment (loose-leaf service). 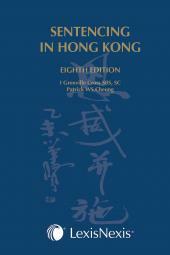 He is also the editor of the forthcoming 4th Edition of Bribery and Corruption Law in Hong Kong. He sits from time to time as a Deputy Judge of the High Court.